Your home represents one of the largest investments that your family will make. That means it’s important to make sure your home is well-maintained—especially your roof. When your roof needs repair or replacement, Elevated Roofing contractors in Garland are here to get your project done right. 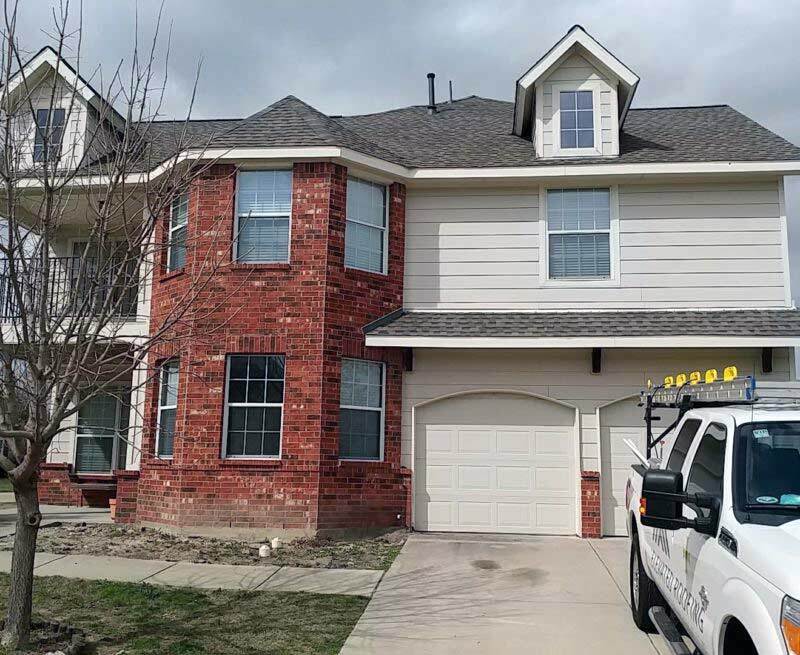 We can help when you need a new roof for your Garland home because the existing one is damaged, your roof is leaking and needs repair, a storm caused damage from hail and wind, or if you are looking for new color or style for your roof. 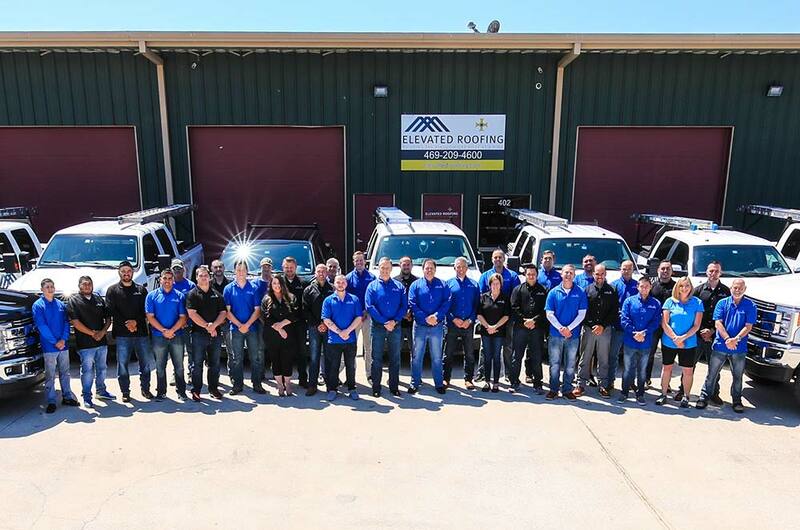 The roofers at Elevated Roofing are different from other roofing companies in Garland, TX. 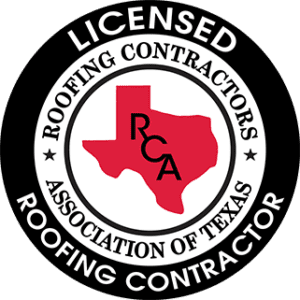 Roofing contractors go out of business often because they don’t focus on building a solid reputation and quality workmanship. 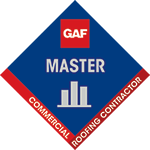 We’ve been in business since 1995 and have built a solid reputation focused on superior customer service and using high-quality supplies for your roof (see our what our raving fans are saying). We have earned an A+ rating from the Better Business Bureau (BBB) and are BBB accredited. We respect your property and leave a clean work site. No one wants to deal with a flat tire because of a stray nail that wasn’t cleaned up. Not to mention a messy yard or flower bed because a roofing contractor didn’t pick up after a job was complete. Our roofers are meticulous in their clean-up and careful to leave your property clean and safe. We never take the shortcut with our work. Contractors who provide poor quality work because they know the homeowner won’t find out about it are all too common in Garland. We’re different. We treat you the way we like to be treated. We value your trust. We know how the insurance claims process works. Homeowners insurance claims can be confusing and even complicated. We’ll help guide you through the process and provide your insurance company with exactly the information they need to assess your claim. Our goal is to save you time and frustration. We went with Elevated because almost all our neighbors had used them during the last hail storm and were very happy. We hired them to do all the repair work - new roof, new gutters, new screens as well as new stain and paint on the entire exterior of the house. 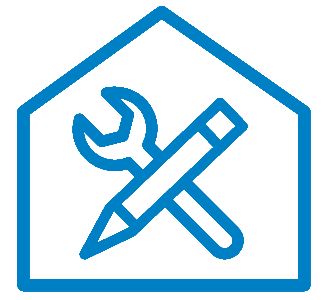 We were extremely please with their work, and they made the process incredibly easy. Everyone was efficient, timely, clean and very polite. I would use them again in a heart beat and recommend them to anyone! 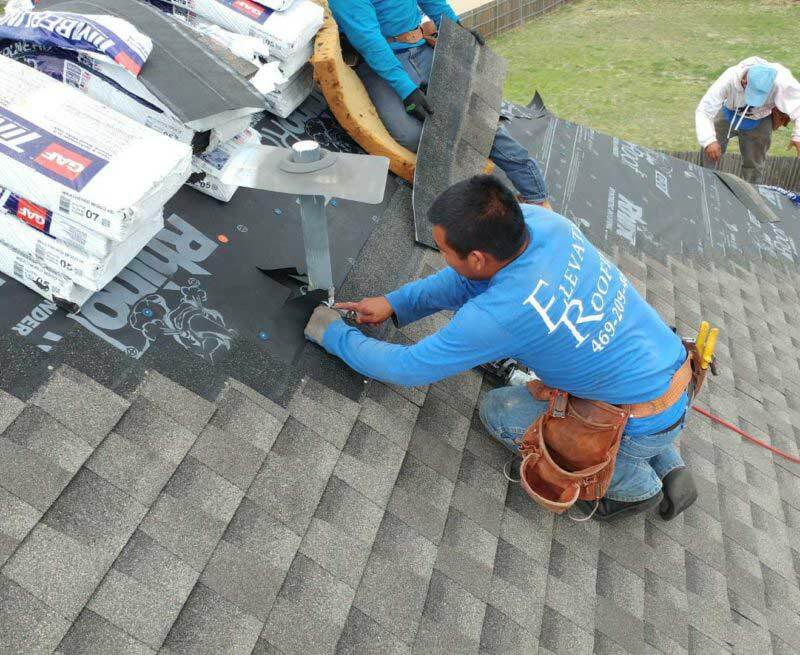 Whether your roof is damaged from a storm, needs routine maintenance or complete replacement, our Garland roof repair experts offer high-quality workmanship and have earned a reputation for excellence throughout the North Dallas area. We use the best materials available and get the job done quickly and accurately. We pride ourselves on top-level customer service and support. 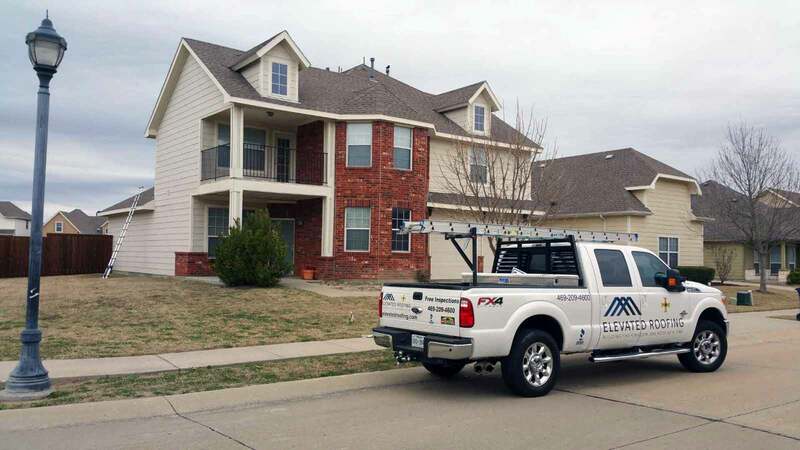 Our crews treat each customer’s home as if it were their own. This means a job site (your property) is kept clean and safe throughout the entire project. We’re also sure to keep your landscape free of debris and other potentially dangerous materials. Attention to detail is top priority for our crew, regardless of the size of project. 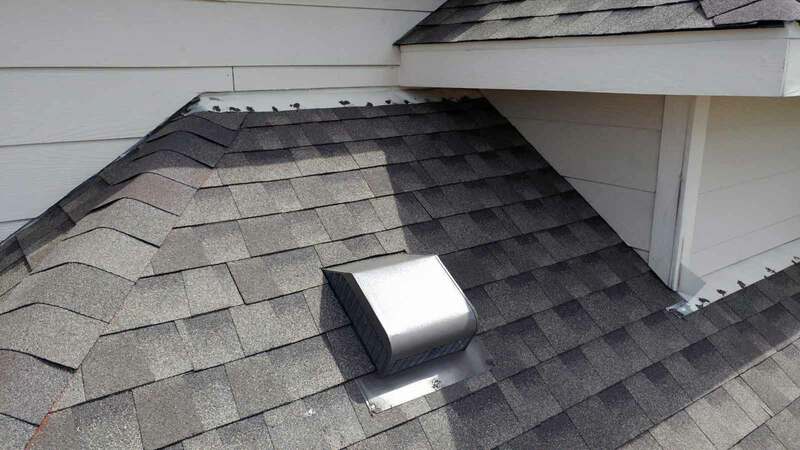 From a minor roof repair to a complex roof replacement, each roofing job we do in Garland is equally important. Our roofing experts and administrative staff will never cut corners. Our priority is the safety of your family, and every Garland roofing customer has our full attention. We’d love for you to contact us about any roofing project you are considering. We’ll provide a free roof inspection by our professional staff to ensure that all roofing elements are completely and thoroughly examined. The inspection process offers homeowners an accurate assessment of problems and the appropriate solutions.